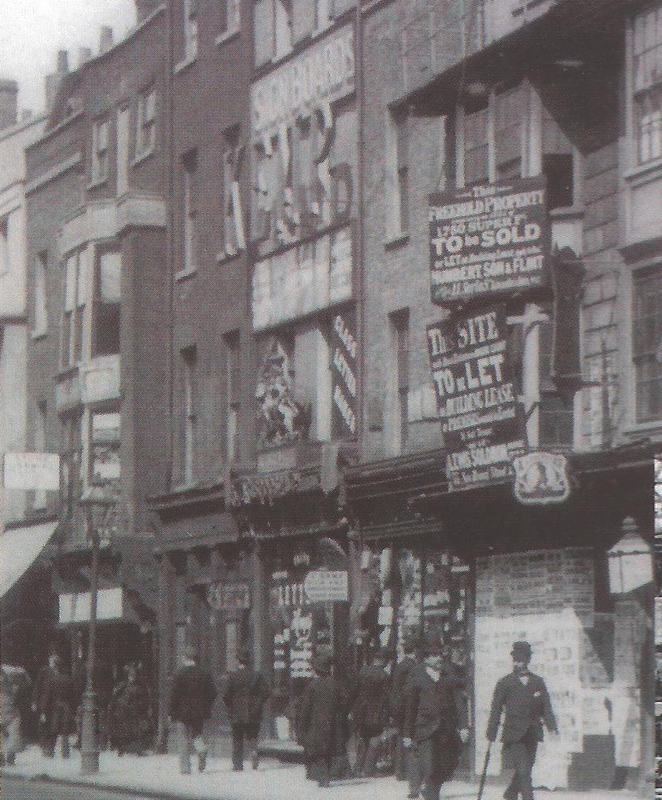 As London’s oldest signmakers, established in 1868, we maintain a powerful historical connection to the city. 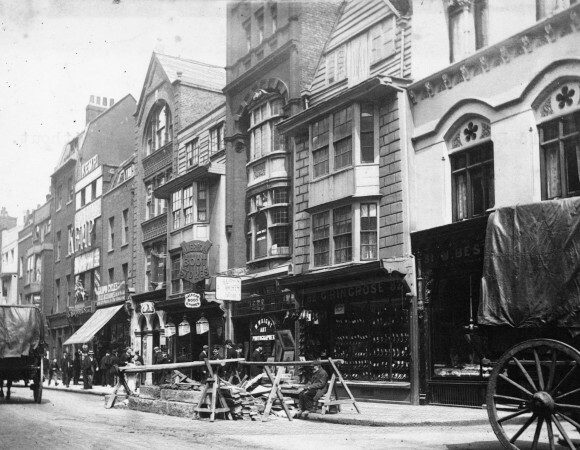 For nearly a century, Kemp London was situated in the heart of the City of London in Bishopsgate, before relocating to Commercial Street in the 1940s and then finally settling in Dalston in 1971 – a place we still call home today. 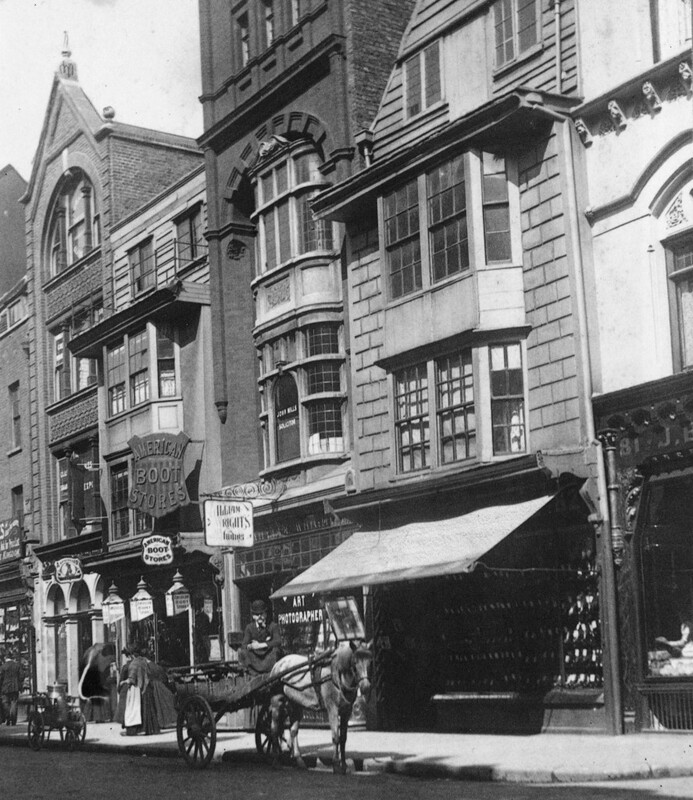 In a sense, this location shift from London’s corporate centre towards the artistic East end parallels Kemp London’s continued expansion from working primarily for corporate clients to more creative endeavours. We are extremely proud of our enviable heritage. Through research, we recently found and recovered an original signwritten glass sign from one of our original buildings in the city. This precious piece is currently being restored by Stanley Earle, father of the current director. 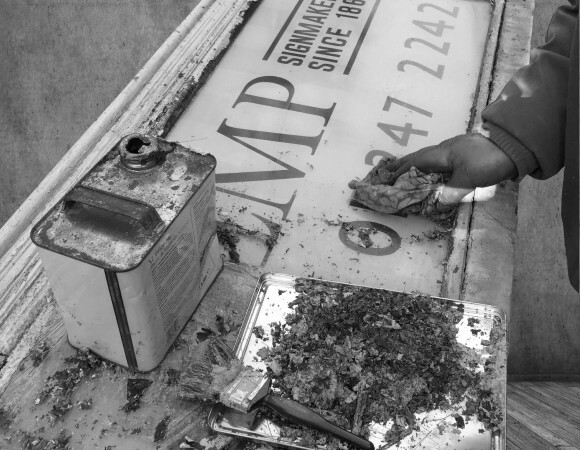 The image here shows Stanley stripping back the paint and revealing the hidden original hand painted sign beneath. 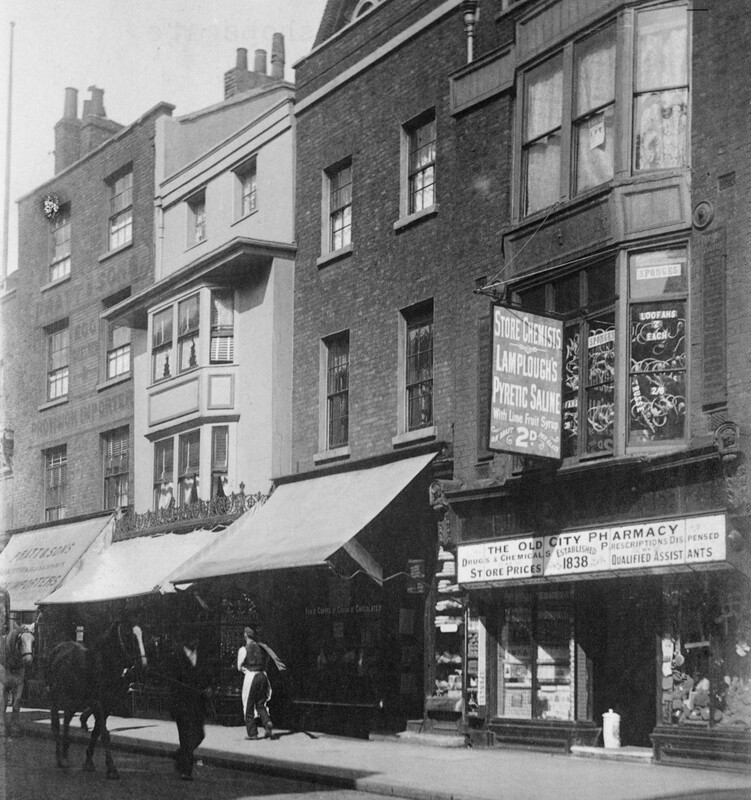 The photos included here also show Kemp in its original location in Bishopsgate from the mid 1800s. 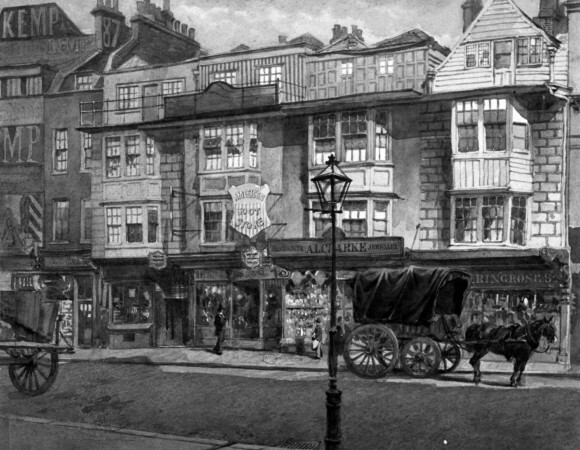 The Kemp building can also be seen in a painting by John Crowther from the same period. 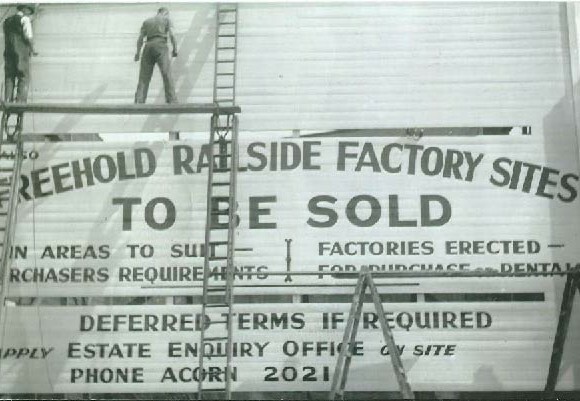 Included in the imagery is a photograph of George Martin working at height (right of picture) recently provided by his daughter. 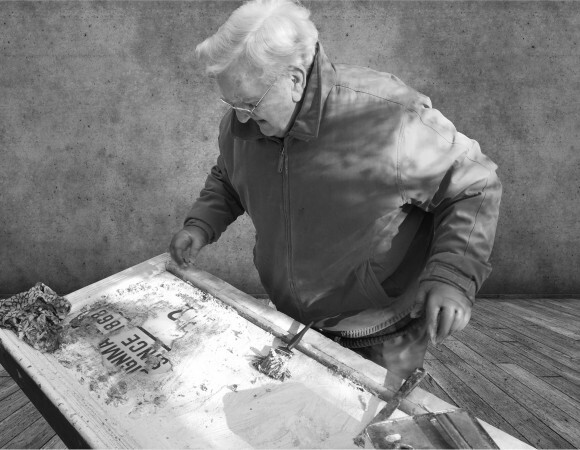 George Martin was the company owner prior to Stanley Earle father of the current director Steve Earle.